The best works of historical fiction teach me something while telling me a great story and this was definitely one of those books. 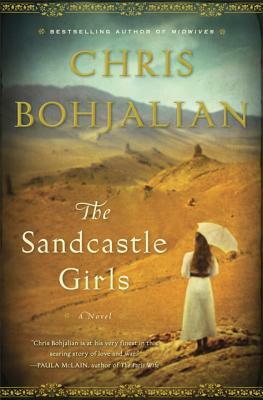 The story travels between Syria in 1915 and New York in 2012. If there was one thing I didn't love about this book it was that it didn't ALL take place in 1915. I love to be swept up into the history of a time and place. Whenever the narrative would switch to modern times I felt a bit jarred. 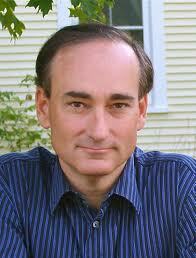 I believe that is Chris Bohjalian's 14th book. I've read a number of his other novels and he never disappoints. I highly recommend this one. Have you read this book? If you have I'd love to hear your thoughts. If you've reviewed this book leave me a link! I have this book to read and since I like historical novels, wonder what's keeping me from picking it up. Very soon, I will. Nice review. I'll be looking forward to your thoughts on this book! I'd love to hear your thoughts about it if you do end up reading it :) I always enjoy other perspectives! Waiting on my copy from the library...ever more anxious to read it now! Booooo to waiting for a book that you can't wait to read! ;) I hope it gets here soon Jen, can't wait to hear what you think of it! It's odd that the Armenian genocide isn't widely included in history curricula, despite the fact that it is widely believed to have served as a model for the Nazis in perpetrating the Holocaust. I've read a few of this author's books (Midwives & Skeletons at the Feast) and loved them. I am adding this to my list. It's very odd, and sad too if you ask me. I do hope you read this and I'd love to know what you think afterwards! I haven't read this author's work before but I picked up a copy of The Sandcastle Girls after seeing glowing reviews. Glad you enjoyed it! Oh I'm glad you did! I'd love to hear what you think when you're through reading it!